TinMan Dental is a cosmetic dental product distributor for many top manufacturers; including, Danville Materials, Kuraray Dental, Tokuyama Dental, DMG America, Morita USA, Premier Dental and SS White to name just a few. We are located in Redding, California. TinMan Dental started in 1989 selling the Danville Tin Plater exclusively. In fact, it is from the Tin Plater that TinMan Dental received its name. 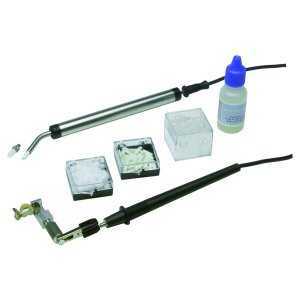 Our company has quickly grown from a single item distributor to now carrying a wide range of cosmetic dental products. TinMan Dental mails out a catalog every year plus a quarterly brochure highlighting new products and promotions. Here at TinMan Dental we believe that the customer and their needs are top priority. TinMan Dental currently supplies over 8000 dentists worldwide. We pride ourselves on our knowledge of the products we carry, as well as getting those products out to our customers the same day they are ordered. We ship our packages by UPS; thus, we are able to get packages out to our customers within five days or less. We also ship to Hawaii and Alaska using U.S. Priority Mail; therefore, we are able to get those customers their products in a timely and cost efficient manner. Furthermore, we also ship to those who need our services around the world. 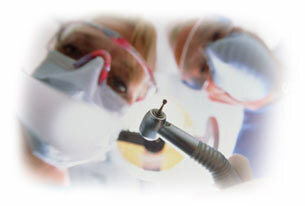 TinMan Dental is very involved with and dedicated to our dentists. We are constantly trying to find ways to benefit our current and future customers. For instance, we attend many dental seminars throughout the year all over the country. Also, by attending these seminars we continue to improve our own knowledge of the dental field and its techniques.